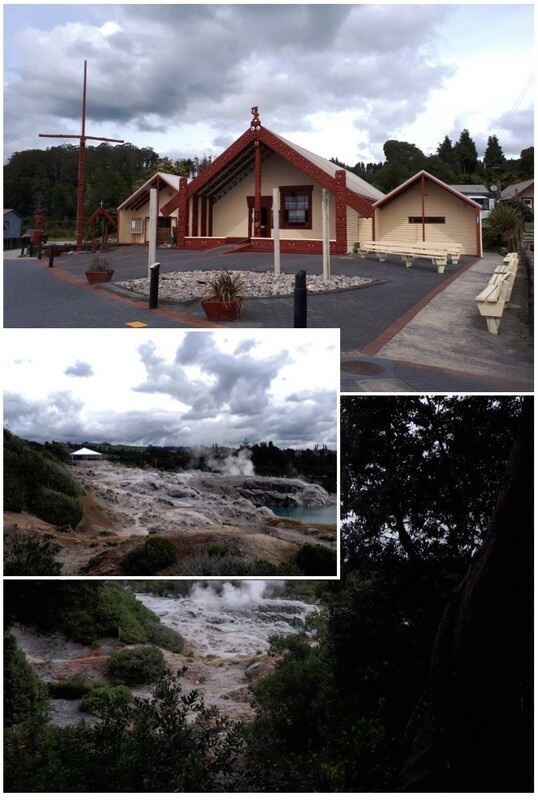 I’VE always been attracted to the Rotorua geothermal region, in the North Island of my native New Zealand. 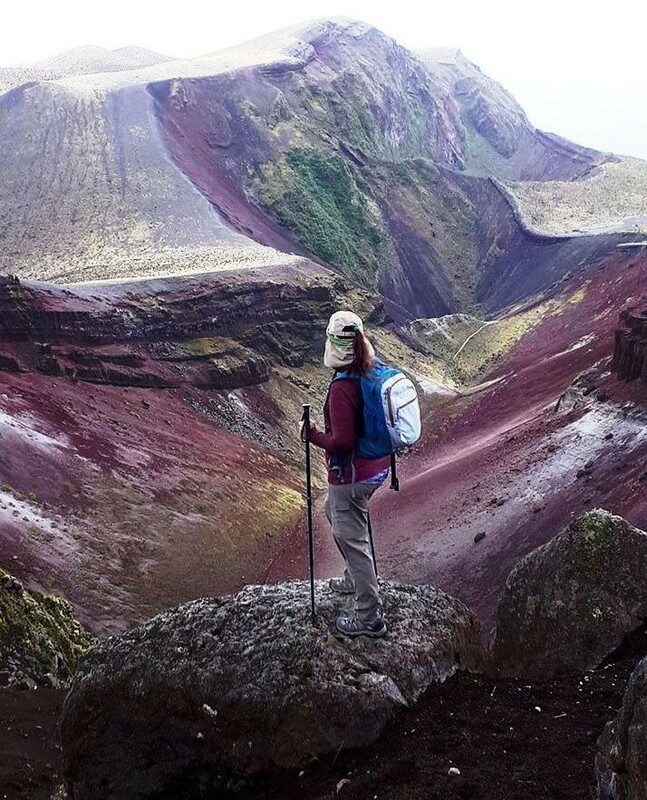 It’s a complex of volcanoes, hot pools, geysers and lakes. If that sounds familiar, it should be. For, the area is New Zealand’s equivalent of Yellowstone National Park in the United States. In some ways it’s better because, unlike Yellowstone, which was created at the expense of the indigenous people who lived there, Rotorua is also a site of Māori cultural tourism. On the other hand, the volcanoes are more active. There’s a theoretical risk that Yellowstone might blow up and engulf North America in ash; but the risk from the volcanoes around Rotorua is a lot less theoretical.. 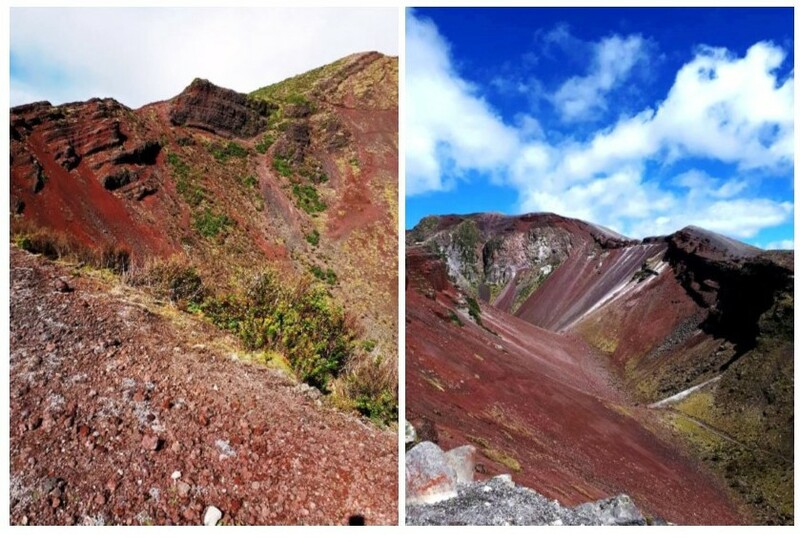 In fact Mount Tarawera, one of the four main points of interest in the region, erupted in a devastating cataclysm in 1886, during which the earth quite simply burst open, forming a chasm on the top of Mount Tarawera. The chasm is longer than shown in the map below, and runs under a lake enlarged by the eruption, Lake Rotomahana, to Waimangu. Its total length as a geological feature, closed up in parts and gaping in others, is seventeen kilometres. There is more to the region than geology. As I’ve just suggested, Māori culture is strong in the region (I will come back to that). 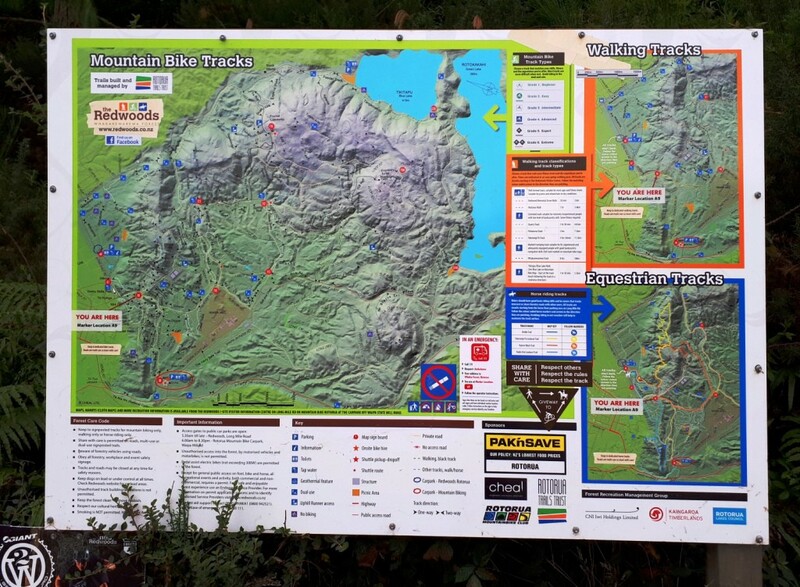 Also, there are hiking and biking trails and, curiously enough, at Whakarewarewa, a forest of Californian coastal redwoods — sequoia sempervirens — planted as part of an experimental logging scheme in 1901 and never harvested. 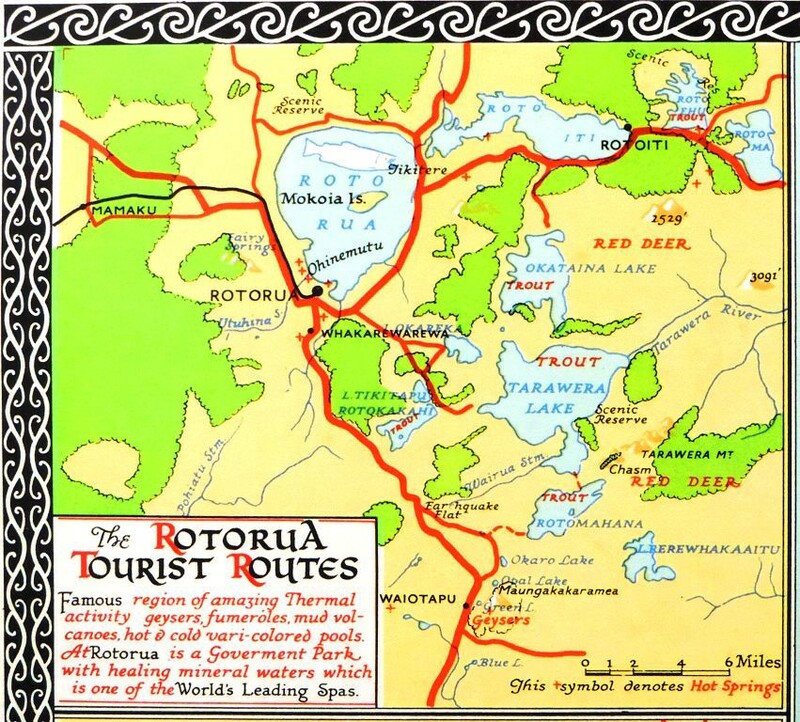 Map of the Rotorua area dated 1946, a detail from a larger ‘Tourist Map of New Zealand’ drawn for the NZ Government Tourist Board, on display at the Auckland Public Library in April 2018. The “chasm” at the top of Mount Tarawera is much longer than shown. Crown Copyright reserved. As in California, the redwoods are becoming sacred now and nobody would dream of chopping them down any more. The tall trees have become part of the local scenery and populate of the landscape of many Kiwis’ childhood holiday memories too. From a genus (sequoia) which was widespread in the age of the dinosaurs, but with their natural range now confined to California, the redwoods now growing at Whakarewarewa provide shade for an understory of equally ancient tree ferns: a type of plant which was also common in the dinosaur age, but which later died out in North America. Tree ferns did, however, survive in New Zealand. 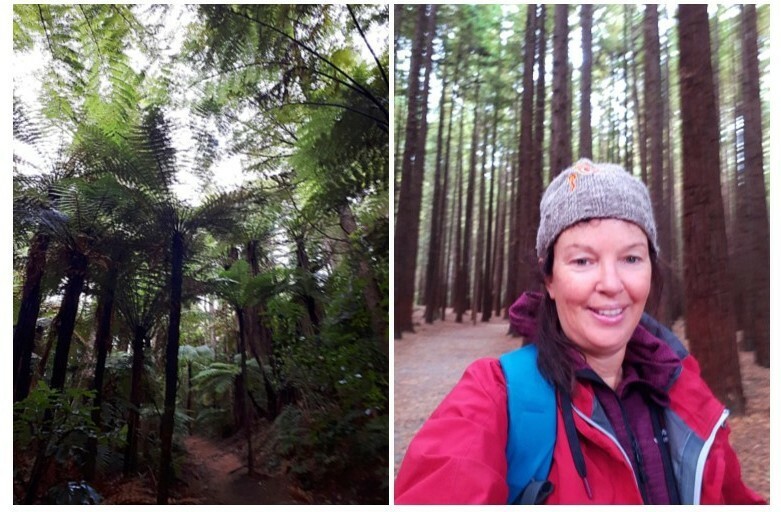 At Whakarewarewa, the redwoods and the tree ferns dwell together to re-create a cool forest ecosystem not seen since the age of the dinosaurs. You can see this unique ecosystem from the trails, or you can see it from above on the 23 suspension bridges of the Redwoods Treewalk. After a while, things started to warm up a bit . . .
Let’s get back to the geothermal properties of the region, which are probably its main claim to fame. An aerial photograph of the nowadays quite sizeable city of Rotorua reveals the thin-ness of the earth’s crust in this region. As I say, the dangers of living atop an even more active version of Yellowstone are not theoretical. 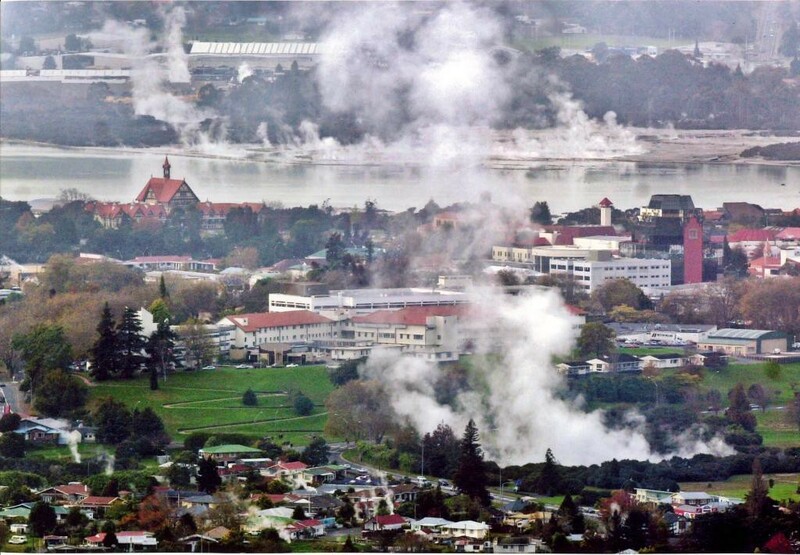 People have been suffocated by noxious fumes even in Rotorua city itself, a city where the air normally smells faintly of sulfur: though admittedly such suffocation doesn’t happen very often and usually involves some problem with plumbing or ventilation (the codes are stricter now). And on top of that, on the 10th of June 1886, the earth actually blew asunder over a distance of several miles in the famous eruption of Mount Tarawera, which altered the shoreline of local lakes and destroyed the Pink and White Terraces: natural wonders that were just starting to become known to the wealthy-tourist trade. 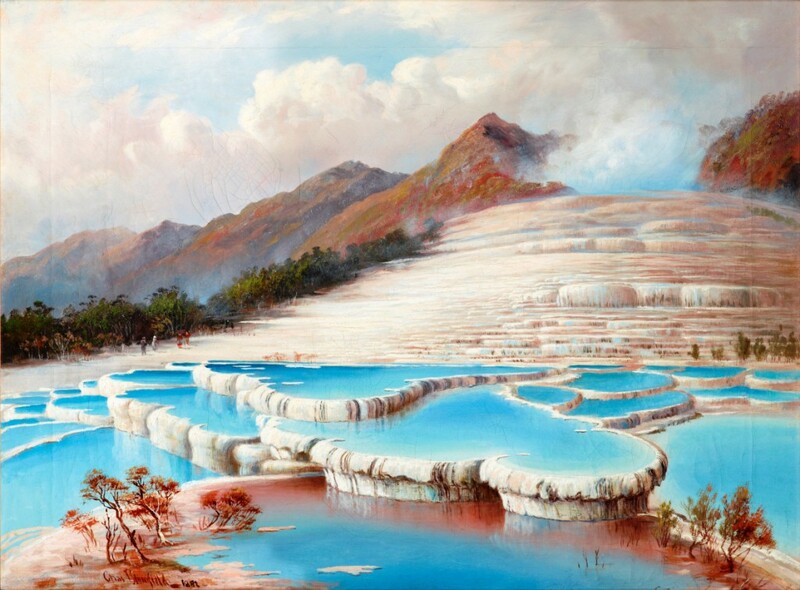 The pink and white terraces were made from a stalactite-like mineral called travertine, deposited by warm springs as they trickled down the hillside. Luckily, just as many caves have stalactites, so there are several travertine terraces around the world. Three of the best-known are the ones at Mammoth Hot Springs in Yellowstone National Park, Pamukkale in Turkey, and Huanglong in China. Two Victorian paintings by Charles Blomfield capture the beauty of the White Terrace and the horror of the subsequent eruption of Mount Tarawera, in which the earth quite literally burst open. The upper painting has accession number 1894/4 at the Auckland City Art Gallery (gift of Sir Henry Brett, 1894) and the lower painting is item C-033–022, National Library of New Zealand. The lower painting depicts the eruption as seen from a village called Waitangi, which was far enough away to escape with only one fatality.. Blomfield was not actually present on the night, and the locality as depicted actually looks more like the site of the buried village of Te Wairoa, the subject of the next picture. 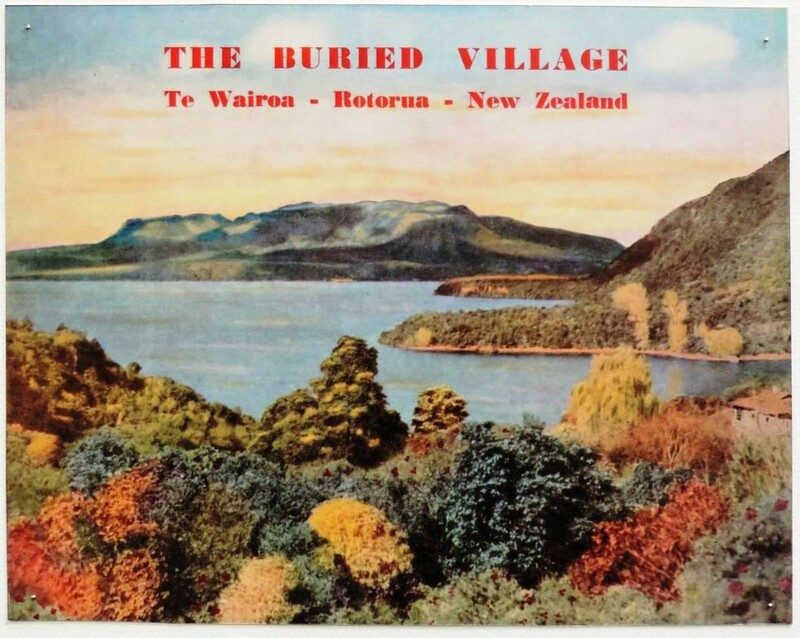 Mid-twentieth century tourism poster advertising the buried village of Te Wairoa, on the shores of Lake Tarawera. Mount Tarawera is visible in the background. About a hundred to a hundred and fifty people were killed when Mt Tarawera erupted in 1886, including a tohunga (Māori shaman), who was said to have predicted the eruption. He was dug out alive from under the ash at the village of Te Wairoa, often simply referred to these days as the buried village, but succumbed a little later. A British resident of Te Wairoa, Charles Haszard, exclaimed “What a grand sight! Should we live a hundred years we shall never again see its equal!” Haszard also perished when his roof fell in under the weight of the ash. It is surprising, given the scale of the cataclysm, that more people weren’t killed. Part of the reason was that very few people lived close to Mount Tarawera. According to a superb New Zealand Geographic article called ‘The Night Tarawera Awoke’, the Austrian geologist Ferdinand von Hochstetter, who drew a pre-eruption map of the Rotorua region in 1859, recorded that he personally felt unsafe near Mount Tarawera and that local Māori also tended to keep their distance. Wisely so, as things turned out. Tarawera and the nearby lakes overly what is known as the Okataina branch of the Taupo Volcanic Zone, a massive ‘supervolcano’ akin to Yellowstone, but more active in the present era. The most recent full-scale eruption at Yellowstone ejected a thousand cubic kilometres of magma, mostly as ash. On the other hand, it also took place 640,000 years ago. In New Zealand, an eruption only 26,500 years ago at Lake Taupo — a date that might as well be today, geologically speaking — erupted 530 cubic kilometres of magma. Though large by most standards, rupturing the earth’s crust for seventeen kilometres and ejecting an estimated one cubic kilometre of magma, the 1886 Tarawera eruption was quite puny by the standards of what the Taupo Volcanic Zone, like Yellowstone, was capable of. It was, perhaps, a sign of this relative puniness, a mere throat-clearing of the underlying supervolcano, that the eruption occurred with only one hour’s warning in terms of premonitory tremors! 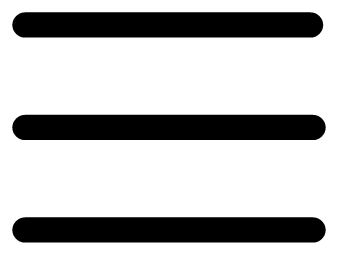 It’s thought that larger eruptions would be preceded by more warning than that. Which is probably just as well because, while Yellowstone’s volcanic dangers are now thought to lie mainly in the distant past, the Taupo Volcanic Zone is fully active in volcanic terms and, indeed, overdue for an eruption thirty times larger than the 1886 one. 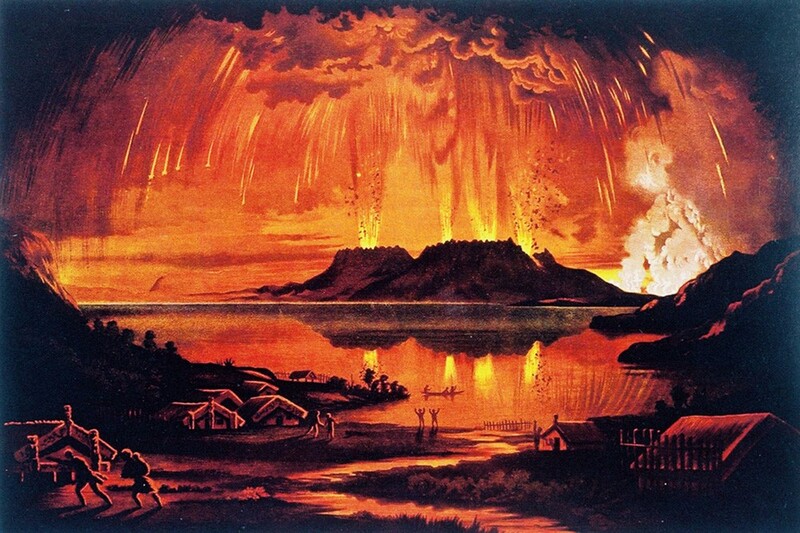 Such cataclysms happen every thousand years on average in the Taupo Volcanic Zone, but the last one was 1,800 years ago. When I was there, the area got hammered by ex-tropical Cyclone Hola, a Fijian name. 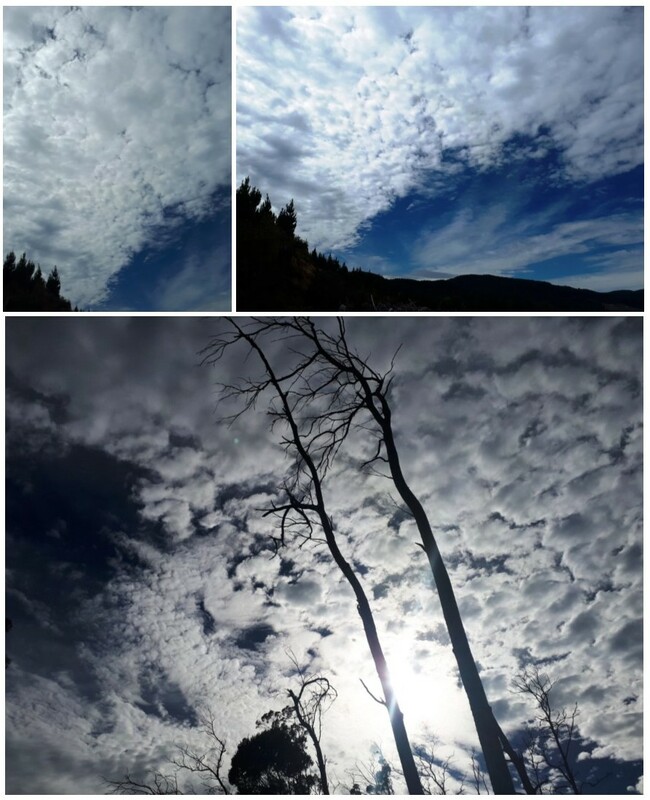 The day before the cyclone, I got some good photos of the freaky clouds that came before it. This part of New Zealand often gets the tail end of tropical cyclones, something that adds to its generally precarious nature and the feeling that nature is in command. 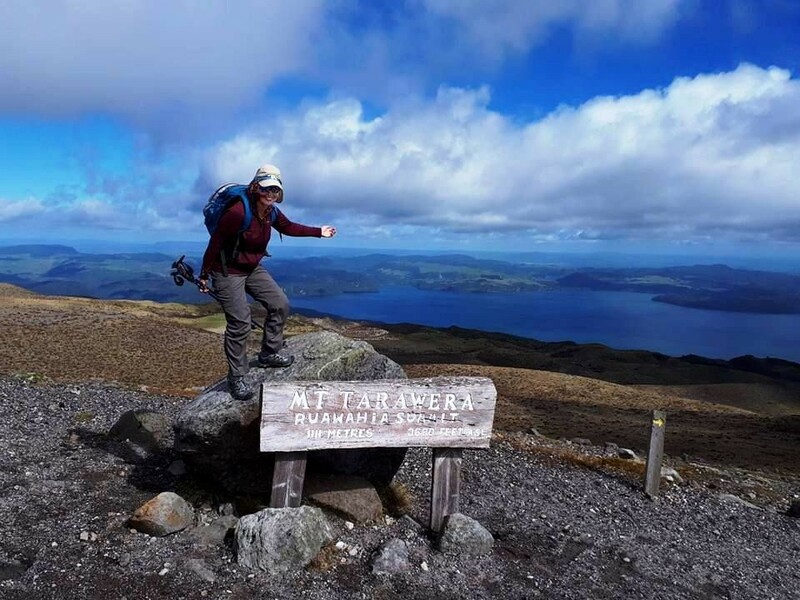 Tours to the top of Mount Tarawera are operated, these days, by a Māori agency called Kaitiaki Adventures. Kaitiaki means ‘guardian’ or ‘guardians’, and the name refers to the fact that earlier, unregulated tourism had left the mountain covered in rubbish. At one time, a truck was hired, and filled, with junk picked up from the mountain. So, these days, the tourist has to go on a tour organised by Kaitiaki Adventures. The mountain’s not very high — I suspect it’s blown its top to atoms more than once — and it’s pretty easy to get to the top. 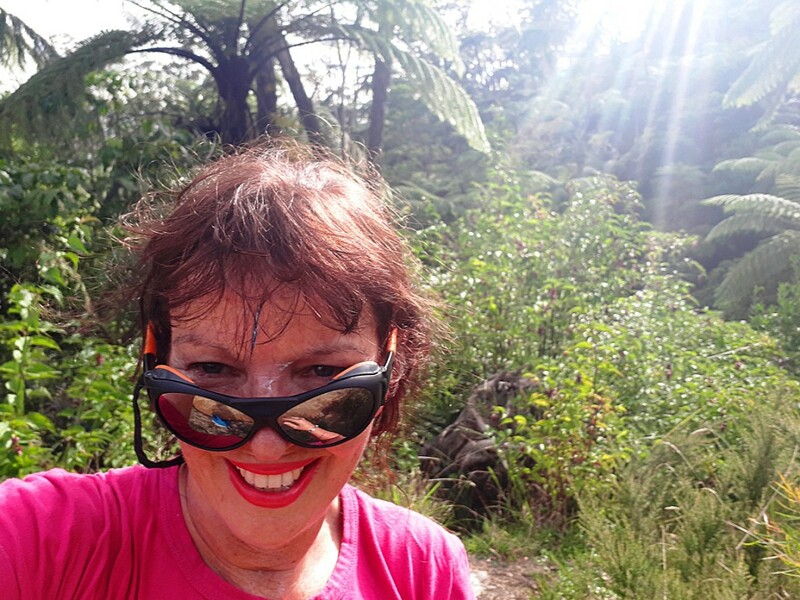 And then you get to run downhill into the scoria-filled crater, or rather, the great crack in the earth which is the nearest thing Tarawera has to a crater. Scree-running inside the crater-rift of Mt Tarawera. Scree is loose rock, and you run down it. Simple! Curiously enough, my mother was born at a locality called Tarawera, which by the way means ‘burning spear’, though that Tarawera wasn’t the same as the volcano. The coincidence was one of the things that piqued my interest in Rotorua and Mount Tarawera, though, even at an early age. Another important example of Maori tourism operation in the vicinity of Rotorua and Tarawera is the village at Whakarewarewa, the ‘living Māori village’ which has been occupied since before the coming of Europeans to the area, and where tourists can sample the delights of food cooked the old-fashioned way in naturally boiling pools. I was able to stay on a campsite at the Rotorua Thermal Park for only $20 a night (they also have cabins), taking advantage of the hot pools, which have a range of temperatures. I had Māori massage which was offered in two forms, the relaxing Mirimiri and the deeper and harder Romiromi technique. The Hawaiʻians have a form of traditional massage called Lomilomi, so I imagine these techniques have been around for a long time. The woman giving me the massage said that she had to concentrate and breathe white light into my soul and the areas of the body that are sore. 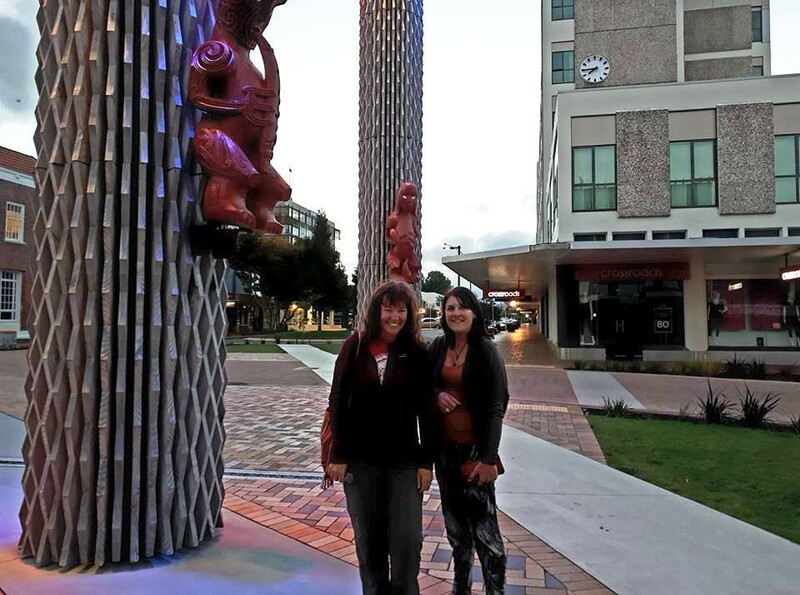 Her grandmother was a fully-fledged Māori healer, she told me. 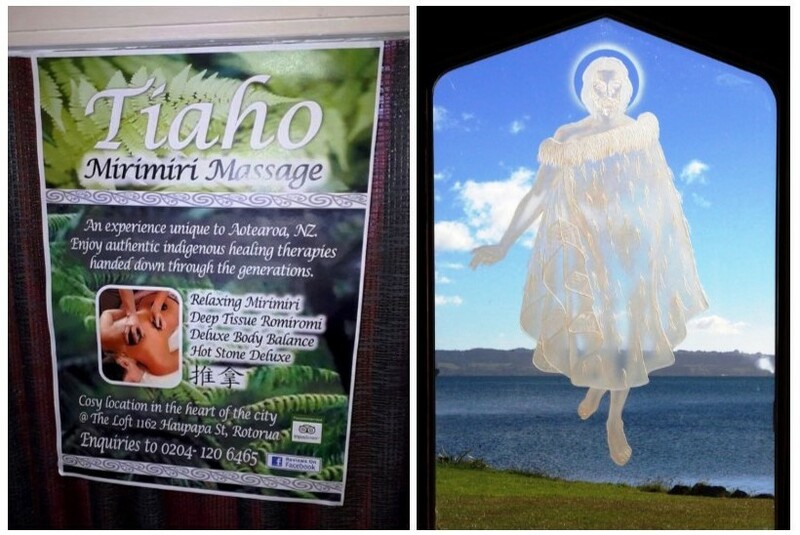 Here is the sign advertising Māori massage where I went, plus a Wikimedia Commons image of a Māori Jesus over Lake Rotorua at St Faith’s Church, Ohinemutu, wearing a similar cloak to the one worn by NZ Prime Minister Jacinda Ardern when she went to see the Queen recently. The Māori Jesus photograph is by ‘Cherub51’, CC-BY-SA 3.0. 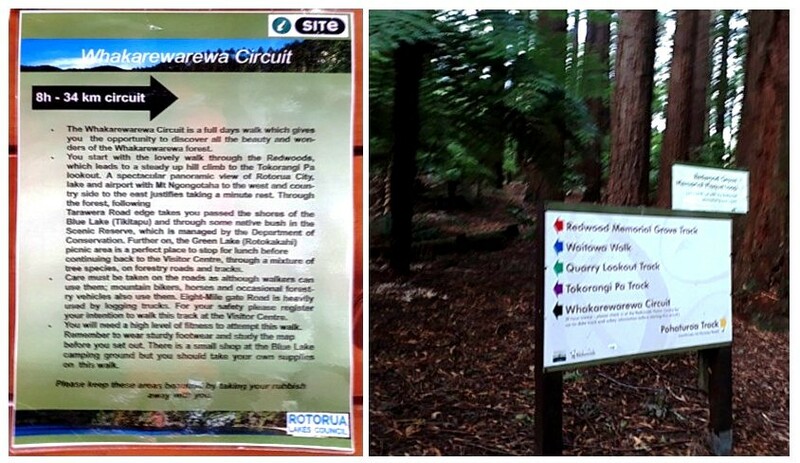 Like much of New Zealand, Rotorua feels a bit more sophisticated than it used to be. Its downtown has been greatly beautified, and I went to a Tunisian restaurant, something that is obviously par for the course these days. Well, that’s all till next time!